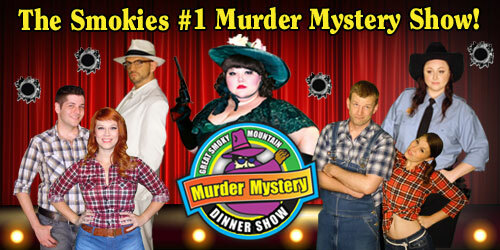 Great food and first-class entertainment await you at the Great Smoky Mountain Murder Mystery Dinner Show. Small and intimate, this little gem of a theater features 4 side splitting, interactive whodunits that’ll leave you guessing until the very end. *Not valid with other discounts or special offers.